[German]Here’s a brief information for owners of a Microsoft Surface Book 2. After the huge Firmware update for the Surfaces a few days ago, there is probably another firmware update offered. After installing this firmware update, a Bitlocker key is requested. You should have it to get your data. German blog reader Toby La contacted me today via mail – thanks for that. He pointed out, that he received another new updates for Surface Book 2 after the big firmware update swing of 01.08.2018 (see). 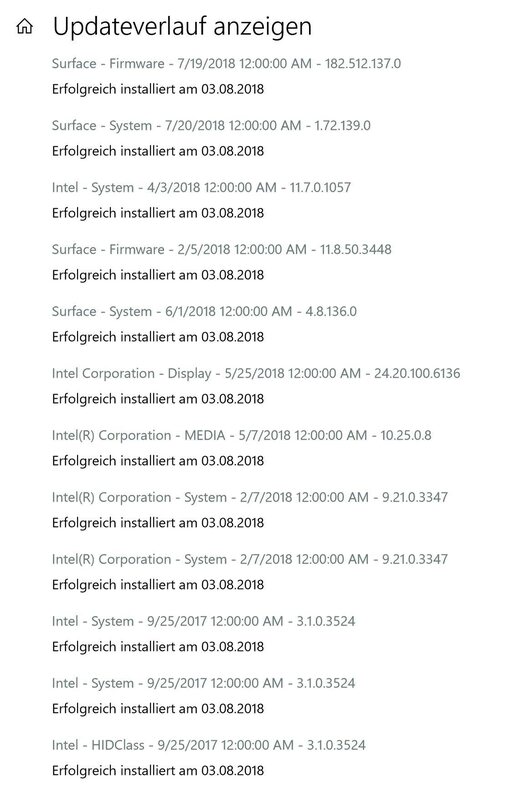 Below is his update history after the huge firmware update from begin of August 2018. 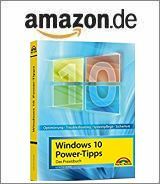 It is an update that requires the Bitlocker key after installation and restart. If you have not secured it at hand or before, there is a huge problem. Both the official update history of MS and the download page of the firmware updates do not show anything (till yet) that would have happened again after August 1, 2018. Toby thinks that maybe this is a topic that helps some SB2 users to backup the Bitlocker key before installing the new firmware. How to obtain the Bitlocker key? Disconnect the tablet from the keyboard when it is switched off. Then switch on the tablet. After Windows has booted normally, you can view (and note) the Bitlocker recovery code in the system settings. Then shut down the tablet, connect it to the keyboard, restart it and enter the Bitlocker recovery code..
After that, everything should be back to normal. I cannot test anything at this point (due to lack of equipment). But maybe it helps one or the other user – thanks to Toby for the hint. This entry was posted in devices, issue, Update and tagged Surface Book 2. Firmware Update. Bookmark the permalink.